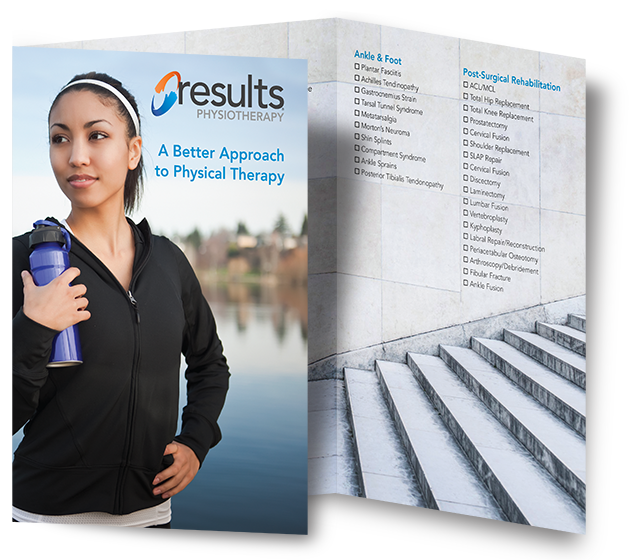 Results Physiotherapy was founded in Nashville in 1996 by Australian Gary Cunningham and a small number of partners, including 3-time gold medal-winning swimmer Tracy Caulkins. In fact, the first clinics were named after Caulkins, a bona fide superstar in the Nashville area. Gary had a vision: to provide world-class, manual-based physical therapy in the U.S. This new approach represented a ground-breaking advance over the typical exercise-and-a-hotpack treatment that we still see today, even as studies confirm the Results hands-on approach yields faster pain relief and more lasting recovery. In the early 2000's, Caulkins exited the business, and Gary was joined by Greg Spurgin, a highly regarded physical therapist and businessman from Australia. Together, they began to increase their presence in middle Tennessee, training the Results team in the latest evidence-based techniques for relieving pain and helping the body to prepare and fully realize the benefits of exercise and strength training. Today, Gary and Greg continue to sit on the Results board of directors, and Sterling Partners has joined the team to help the company further grow and help more people to live without pain. Our patients tell us all the time, this type of therapy is different than what they've had in the past, that our therapists are the first people to find their pain, put their hands on it and make a meaningful change in their symptoms. Oftentimes, they ask, "why didn't I know about this before"? When you come see a Results therapist, your therapy will consist of first off is a really thorough examination of your problems. What this will lead our therapist to do is then to treat those problems very specifically, usually with manual therapy techniques, almost always within a specific exercise program that's unique to your findings. Most importantly is we'll educate you on what we found and what we plan to do about it. At Results Physiotherapy, you will work with the same therapist at each and every visit. We believe this is what leads to the best outcomes, and this is really what our patients deserve. Our therapists are committed to being the best clinicians in their field. They commit to a robust education program that provides them with the skillset to treat the problems that our patients are seeking our help for. At Results, we believe that people shouldn't have to live in pain. We are 100% committed to our patients and achieving the best possible outcome for them. Our therapists give each of our patients personalized treatment with their best interests in mind. Our patients tell us all the time, this type of therapy is different than what they've had in the past, that our therapists are the first people to find their pain, put their hands on it and make a meaningful change in their symptoms. Oftentimes, they ask, "Why didn't I know about this before?" When you come see a Results therapist, your therapy will first consist of a very thorough examination of your problems. This will lead our therapist to then treat those problems very specifically, usually with manual therapy techniques, almost always within a specific exercise program that's unique to your findings. Most importantly is we'll educate you on what we found and what we plan to do about it. At Results Physiotherapy, you will work with the same therapist at each and every visit. We believe this is what leads to the best outcomes, and it’s what our patients deserve. Our therapists are committed to being the best clinicians in their field. They commit to a robust education program that provides them with the skill set to treat the problems that patients are seeking our help for. At Results, we believe that people shouldn't have to live in pain. Contact us for more information or to schedule an appointment. Learn more by downloading our brochure below!